"Thank you very much, service this good is hard to come by. I will raise a PO ASAP." "Hi, the SPC mini is a brilliant bit of kit. I think I need one for my own use. Please see new order attached." "We have been so impressed by the information that the equipment you supplied us with for the Somerfield at Linthorpe Road that I would like to order another please." 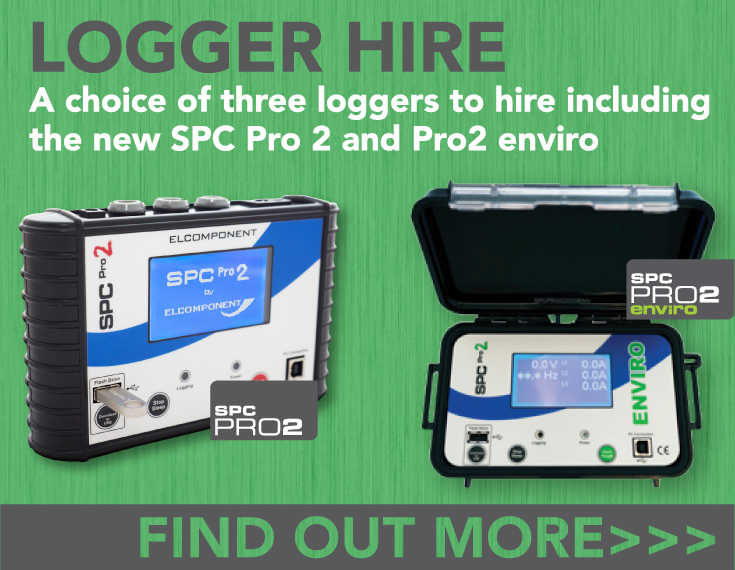 "Just a quick note to say how pleased I am with the SPC Pro we purchased recently. The hardware is robust and well suited to an industrial environment and the software and reports layout superb. Many thanks." "We needed a rugged portable instrument that would measure all aspects of motor performance and cope with the special demands of non-sinusoidal waveforms in our EC fan motors. Elcomponent's Energy Pro ticks all the boxes." "The level of service from Elcomponent was excellent and it was really refreshing to work with a dynamic, forward-thinking company that understands and cares about their customer needs." Thanks for the opportunity to talk about the SPCMini and give some feedback. Firstly I would like to say what a truly great piece of kit the product is. It is unreservedly the best piece of equipment that money can buy and I strongly recommend it to almost all of my customers. It is great.